China Telecom has launched a UK mobile service this week, just in time for the upcoming Olympic Games in London, and revealed plans to expand its operations to other key European markets in the coming months. In partnership with Everything Everywhere — the joint operation between T-Mobile and Orange — and European MVNO-enabler Transatel, it has launched CTExcelbiz, a pre-pay service that caters specifically for Chinese people in the UK. The service is the first Chinese MVNO (mobile virtual network operator) outside of China. It runs on the Everything Everywhere network and will give customers access to the UK’s widest 3G network, in addition to speedier 3.5 G (HSPA+) services. 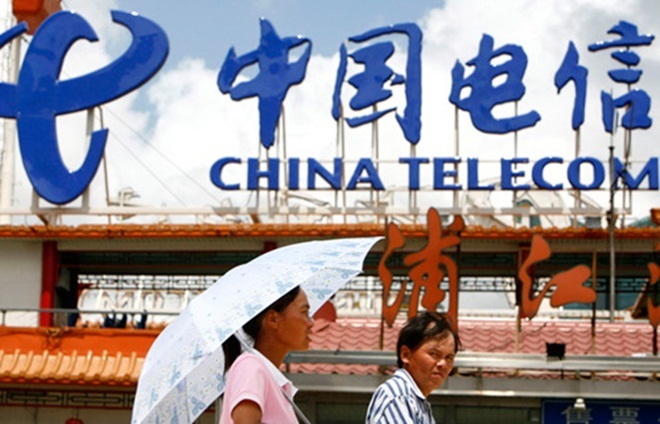 China Telecom Europe — which is the carrier’s brand across the continent — believes that the service will appeal to a range of expatriated Chinese, from students to business users and tourists. Benefits of the service include Chinese language voicemail and dual English-Chinese customer service, in addition to what the company calls “competitive” pre-pay bundles and free calls between CTExcelbiz customers. More is coming soon, and the company reveals it will add a number of other features including local Chinese numbers — to allow cheaper calling with friends and family overseas — and a pan-network chat application, though it remains unclear what advantages this would have other existing chat services and social networks. The UK is estimated to have more than 270,000 Chinese residents, but holidaymakers are an equally important target. Chinese tourist numbers rose 23 percent to number 110,000 in 2010, and the upcoming summer Olympics in London is expected to attract 170,000 visitors from the Asian country. Elsewhere in the world, China Telecom is already active in the US, where it is aiming to offer dual US-Chinese phone numbers. The firm’s president for the America’s revealed that it would like to run its own US infrastructure one day, but current US security concerns make such a move unlikely for now.